BOO! 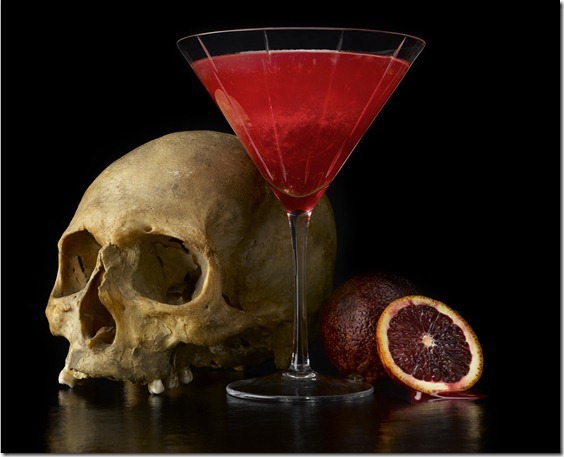 Halloween will be here before we know it, so time has come to conjure up some great recipes for Halloween beverages. Today will be cocktails, yes, adult Halloween drinks in Hawaii. 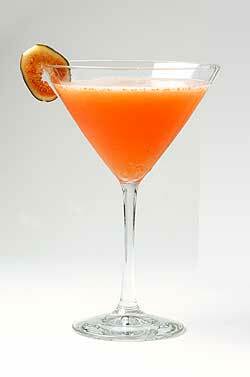 The Witches Brew, pictured above uses Aperol and blood orange juice for that nice bloody hue. This drink was created by Demetrios Saites of NYC’s The Fat Radish. Combine liquid ingredients in a cocktail shaker filled with ice. Shake for fifteen seconds. Strain into a well chilled martini glass or serve on the rocks in an old-fashioned glass. 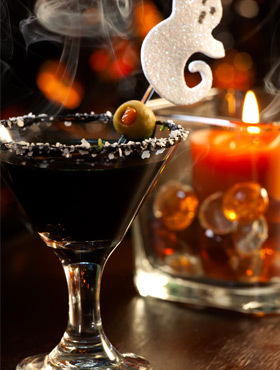 Garnish with skewered black olives and rim the glass with black and white sugar. Muddle mint leaves and syrup together, making sure to crush the mint leaves. Place all ingredients into a shaker. Shake until well-chilled and frothy. 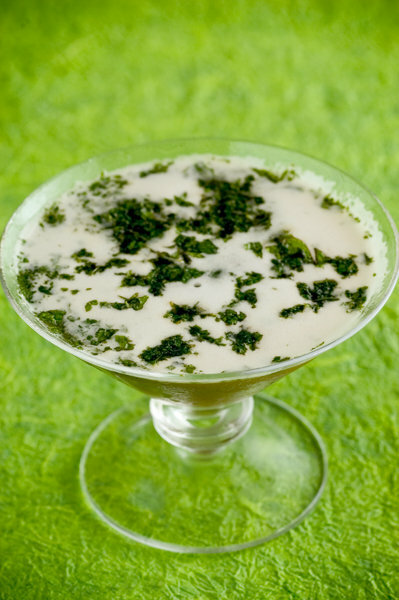 Garnish with additional crushed mint leaves. Shake ingredients in a cocktail shaker. Strain into a martini glass and garnish with a fig slice. With chocolate syrup, draw a web on the inside of the martini glass. Chill glass. Shake Midori, SKYY and lemon juice with ice and strain into martini glass. Drizzle grenadine down the side for a blood effect. Make the rest: Add 4 ounces of the candy corn vodka, the orange liqueur, lemon juice, and egg white to a cocktail shaker filled with ice. Shake vigorously for at least 30 seconds. 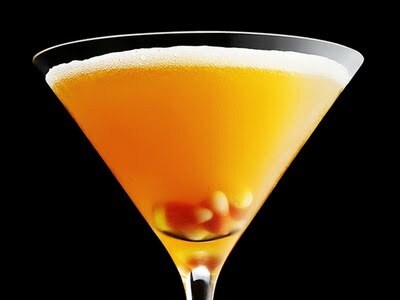 Strain into 2 chilled martini glasses and garnish with candy corn. 1. Fill the blender &frac34; full with ice. Pour in the tequila, limeade concentrate, triple sec, and light beer. Include a squeeze of lemon and a squeeze of lime. 2. Use the “ice crush” setting, if available, and blend the drink. 3. Pour a couple of tablespoons of corn syrup on a plate. Add a half teaspoon of red food coloring and mix into the corn syrup with a spoon. 4. 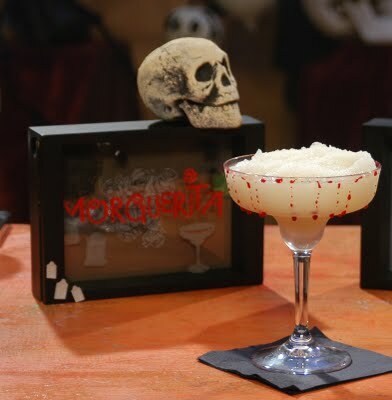 Dip the rim of each margarita glass in the corn syrup mixture and let the “blood” drip down the glass. Pour the morgueritas into glasses. In a shaker glass, combine Midori Melon liqueur, SKYY infusions Citrus, Finest Call Agave Syrup, three orange wedges and two fresh-ripped basil leaves. Muddle ingredients together. Add ice and Finest Call Sweet & Sour Mix. Shake for 10 seconds. Add Canada Dry Green Tea Ginger Ale and roll drink back and forth between your mixing tin and shaker glass. 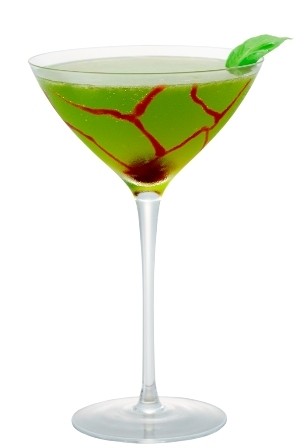 Strain into a chilled martini glass drizzled with strawberry sundae syrup to give an effect of a bloodshot eye. Garnish: Chilled red seedless grape at bottom of glass (to look like an eyeball) and spanked basil leaf floated on top of cocktail for aroma.